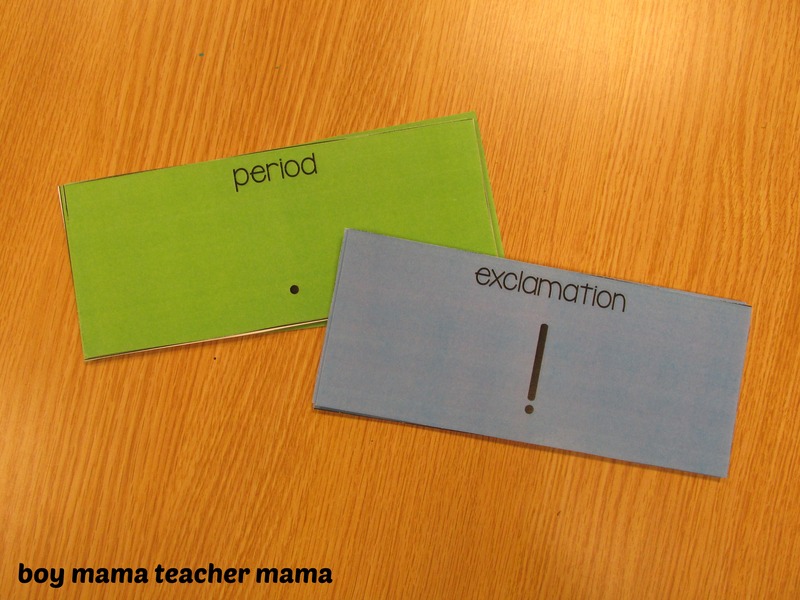 Teaching about periods and exclamation marks are big right now in our first grade class as we learn how to write a good sentence. 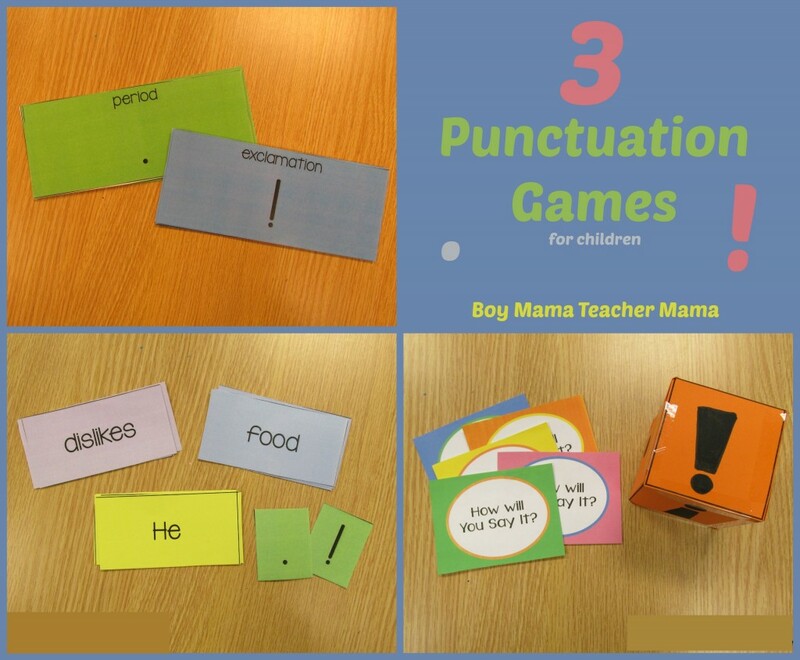 While many of my students understand these concepts already, many don’t so we have been playing some games to reinforce and to teach how and when to use these two forms of punctuation. Print and cut out the templates for the game. 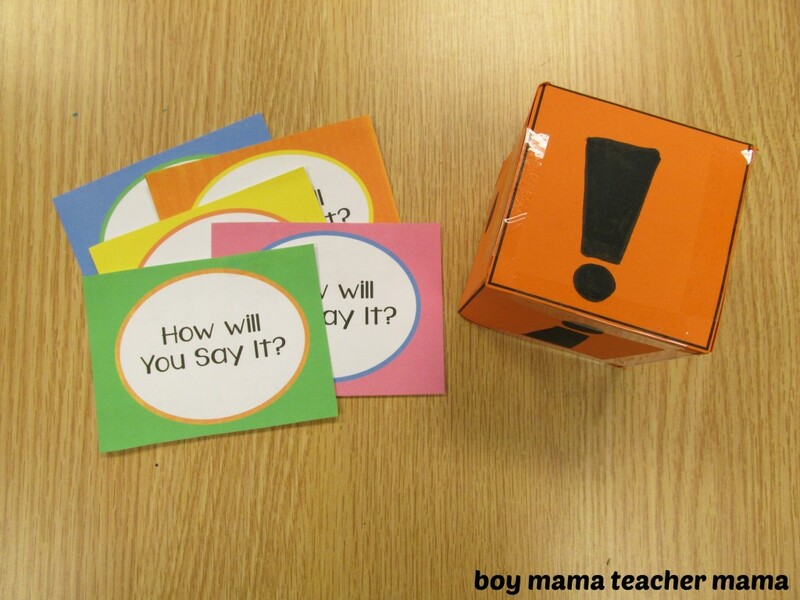 Gather the class together in a circle and distribute one of each card to each student. 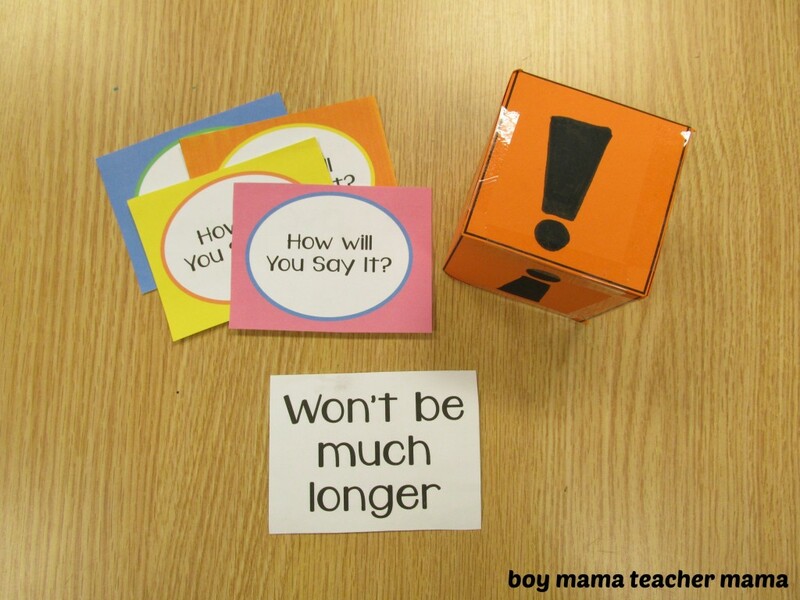 Tell them you are going to say a sentence and they are going to have to hold up either the ! card or the . 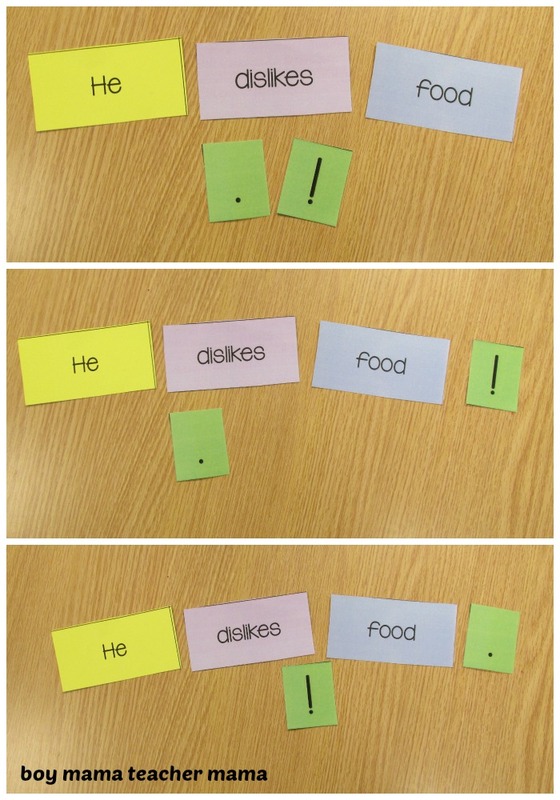 card depending on how the sentence is read. For example, if I said, “I like ice cream!” the students would hold up the ! card. If I said, “I have an appointment.” they would hold up the . card. Exaggeration works really well with this game! 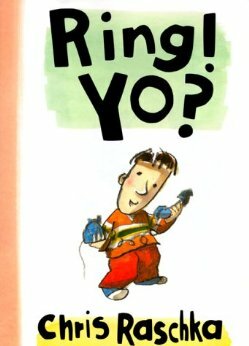 Game #2: How Will I Say It? Gather the group in a circle. Put the prepared cards in a pile face down in the center of the circle. Have the first player pick a card, read it silently then role the die. 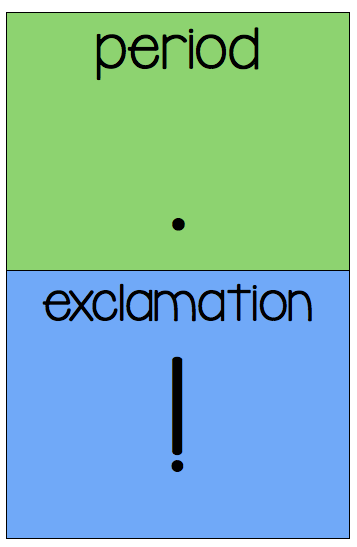 Depending how the die lands, the player reads the card aloud to the group using the proper inflection. 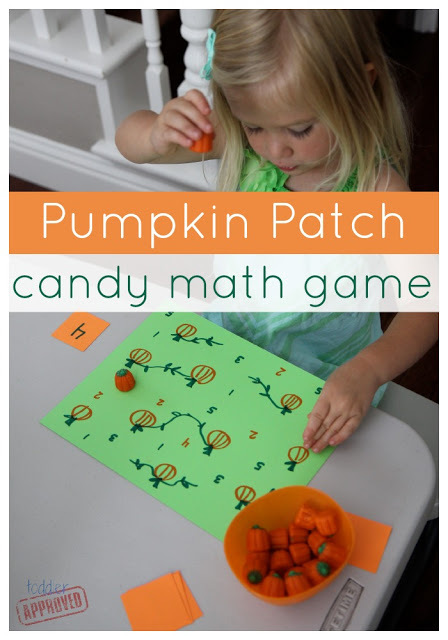 This game can also be played in small groups or even individually once students understand how to play. 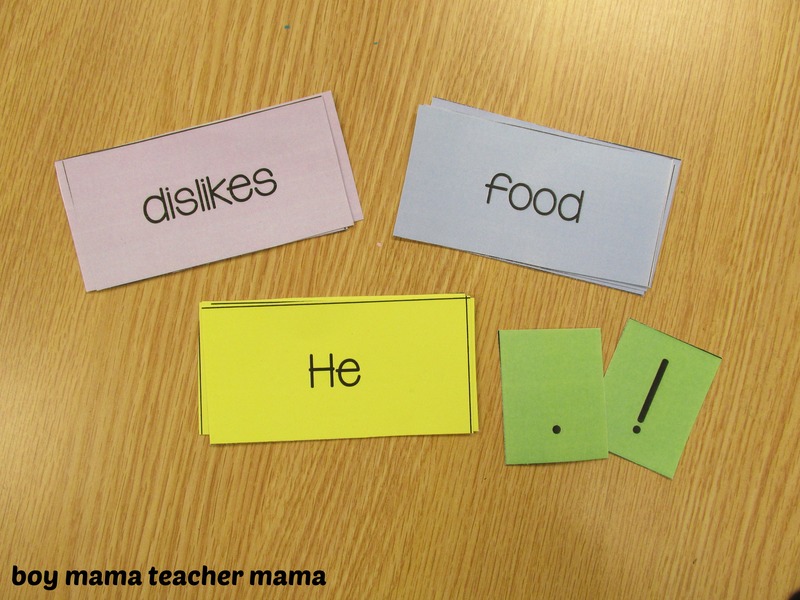 Prepare the templates and place one complete set of cards in a baggie for each group. Break the students into groups of 2-3. Place the colored cards face down in piles according to color. The first player picks one card of each color then arranges the words into a sentence. He then decides if the sentence should end with a . or an ! and reads the sentence aloud to his partner with the proper inflection. If you like, then have students choose their favorite sentence they created, write it on a piece of paper and illustrate it. 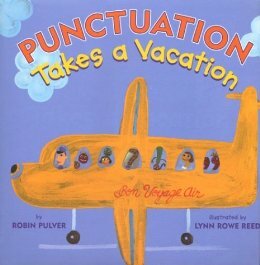 What is your favorite way to teach punctuation? 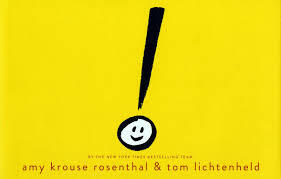 Here are a few great read alouds for teaching about punctuation. My son has not yet learned how to tie his shoes, just like the little girl in the story, Countdown to Kindergarten so this post hit home! 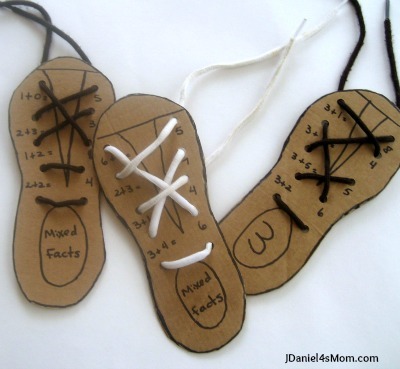 I love the ideas shared for mixing shoe tying and math! This looks fantastic and is now on my list to do with my youngest. 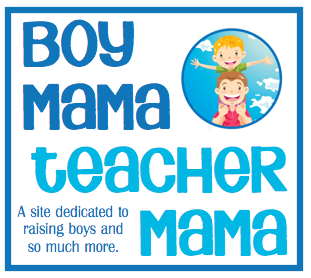 I think I will also be passing it along to his Pre-Kindergarten teacher! 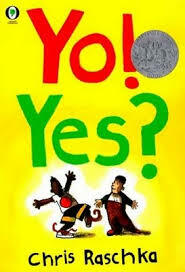 I love the list of books you pulled together to teach punctuation and thanks for co-hosting Afterschool! Another great activity full of creativity!!! Thank you for the creative game ideas! I love the book list too.